Many counsellors work regularly with people who are experiencing addictions and have realised that these were having too much of a negative effect on their lives. Over time, It has become familiar to witness a common conflict, that situation of being torn between wanting to ‘get better’, in direct opposition to wanting ‘feel better’, for one of maybe a list of reasons that we can give ourselves. As people struggle to stop, there will usually be lapses and then the person may feel bad about themselves. They could see themselves as being weak, not determined enough or lazy. Addictions are a hard type of behaviour for us to change in ourselves and often when we’re trying to do something about it, the way we see ourselves might not feel very good. How we decide we’re going to see ourselves can make a lot of difference, for instance, if we can’t easily quit smoking, drinking alcohol, using other drugs or gambling, are we bad people? Really? Please let’s be clear that I’m talking about the addiction itself. People might do all kinds of regrettable things in order to obtain what they’re addicted to or they are under its influence. What I’m putting here are thoughts that might allow people with addictions to stop what keeps those addictions going, once those people have come to the decision that what they want to do is stop being dependent on whatever that addiction is. A way of working with clients who are involved in this kind of struggle uses their own resources to help. That is, relying on their capacity to be positive towards themselves, being kind and patient to that person they are, becoming more accepting of how things are right now, and sometimes learning how to be their own best friend. Telling people what they ought to do, must do or should do is not always the best way forward. It’s my belief that it’s much better to work on what you can do. 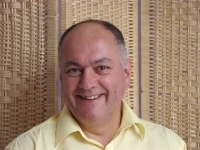 Martin Clegg BSc (Hons) Psych, MBACP is a registered member of the British Association for Counselling and Psychotherapy and has been practicing in Wrexham, North Wales and Whitchurch, Shropshire since 2011. Bullying in the workplace, a legal perspective My life looks good on paper, so why am I unhappy?